(Nanowerk News) Companies active in the energy sector will meet top researchers and university teachers in Stuttgart on December 10 and 11 at the KIC InnoEnergy Industry Conference. There, innovative approaches to future sustainable energy management in Europe will be presented. Journalists are cordially invited to come to the event at the Haus der Wirtschaft and asked to register using the form enclosed. Under the umbrella of the European Institute of Innovation and Technology, EIT, the German KIC InnoEnergy GmbH and its European holding are organizing and supporting training and innovation processes on the different energy markets. It is aimed at further developing university studies in the energy sector and at accelerating the transfer of research results to successful new fields of business. This will be of particular importance to the German energy turnaround. It will give rise to market opportunities for German and in particular Baden-Württemberg companies. The complete chain of values added, from primary energy exploration to energy conversion, storage, distribution, to efficient energy use, offers many chances for small and medium-sized companies to start activities. A number of European top universities, research institutes, and large and small enterprises cooperate in KIC InnoEnergy, including Stuttgart University, Fraunhofer institutes, the Steinbeis Europa-Zentrum, EnBW, ABB, Vattenfall, and TOTAL. Karlsruhe Institute of Technology (KIT) successfully launched the initiative and won the European competition with the support of the Baden-Württemberg Ministry of Science, Research, and the Arts in 2009. The European holding, in which KIT assumes a leading role, was founded two years ago. Today, about 100 partners are cooperating. Last year, the European KIC InnoEnergy holding reached a turnover of more than EUR 140 million. 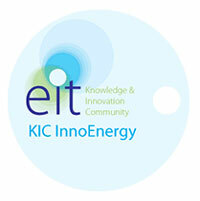 KIC InnoEnergy aims at closing the innovation gaps in the field of sustainable energies in Europe and at developing new fields and models of business. Work focuses on the knowledge triangle of research, education, and innovation. At six European locations, KIC InnoEnergy promotes education of highly qualified experts, entrepreneurial spirit, and the development of innovative close-to-market products and services. The conference will inform about European market perspectives and funding options, the establishment of startups, and project cooperation. KIC InnoEnergy partners will present highlights of their work in the fields of renewable energies, smart grids and energy storage, intelligent buildings and cities, and energy from chemical fuels.